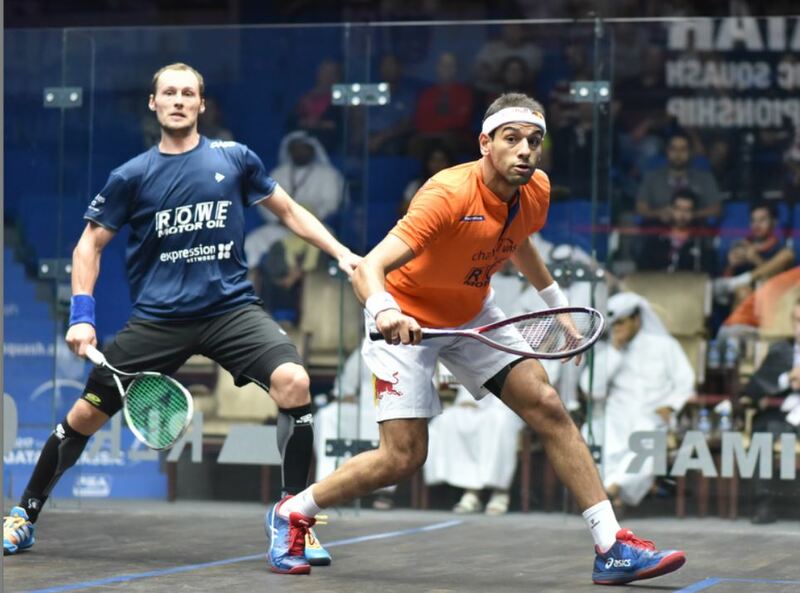 Mohamed Elshorbagy reached a remarkable sixth Qatar – and a sixth PSA – final in a row as he beat top seed and world #1 Gregory Gaultier in straight games in a repeat of their 2015 final here. 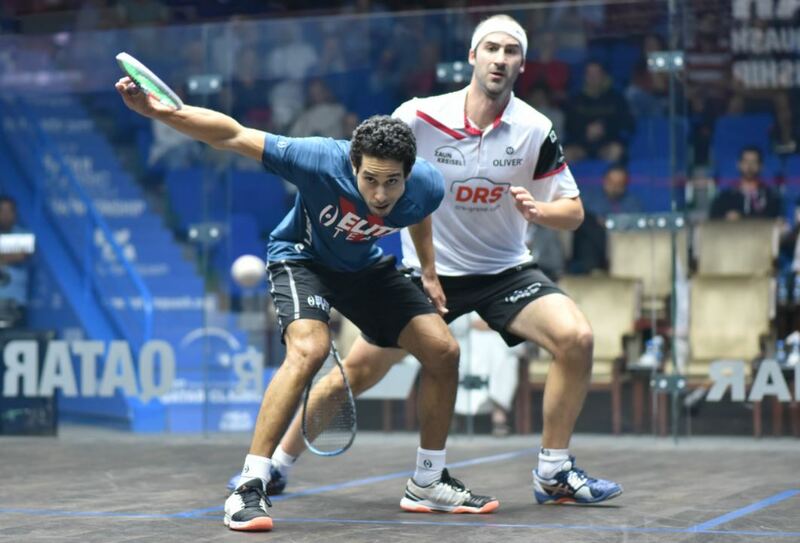 The first two games could have gone either way, but having edged both of them to take a decisive lead, Elshorbagy romped through the third with Gaultier clearly hampered in his movement. Elshorbagy will meet Tarek Momen in an all-Egyptian final after the eighth seed beat Simon Rosner in straight games. With both players looking to reach their first World Series final, it was Momen who dominated, taking a good lead in each of the games, and although Rosner closed the gap in the first two, there was no stopping Momen today. “It’s my first ever World Series finals, It’s been long over due, “said a delighted Momen.